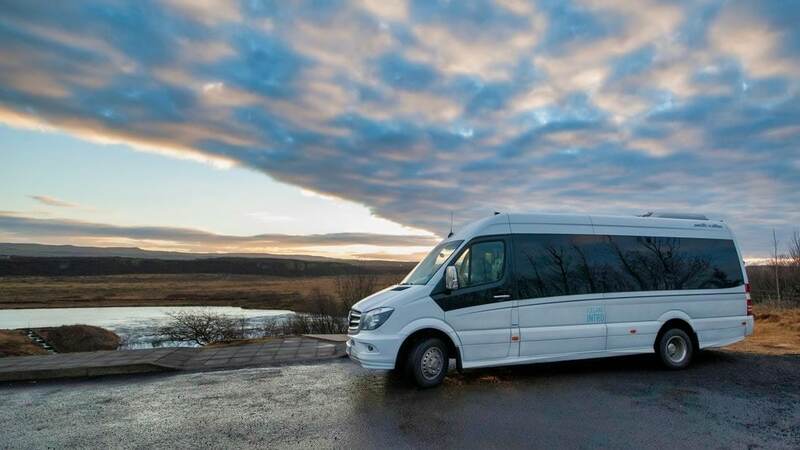 Do you want to experience the most breathtaking scenery of Iceland in comfort? Do you prefer the flexibility of a more intimate group? 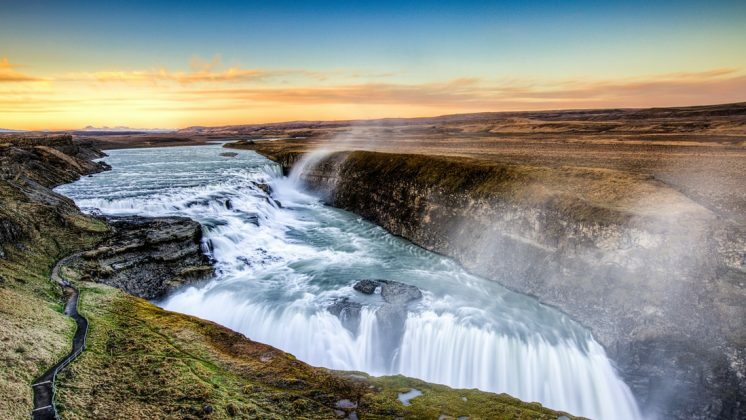 See Iceland your way with our Golden Circle Small Group Tour. On this tour you will travel with a small group of no more than 17 people. 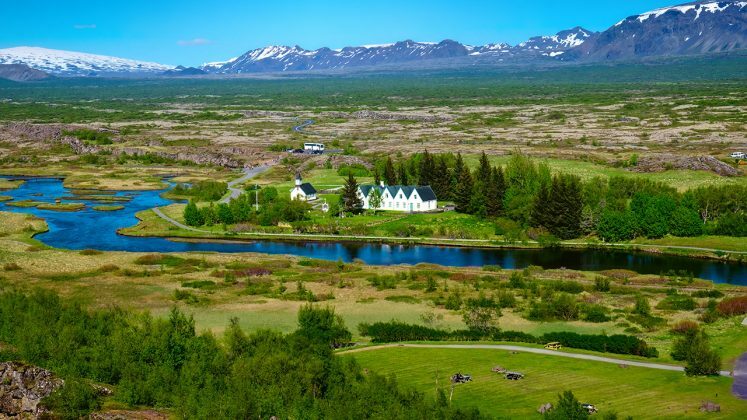 You’ll visit stunning must-see locations including Þingvellir, Gullfoss and Geysir. 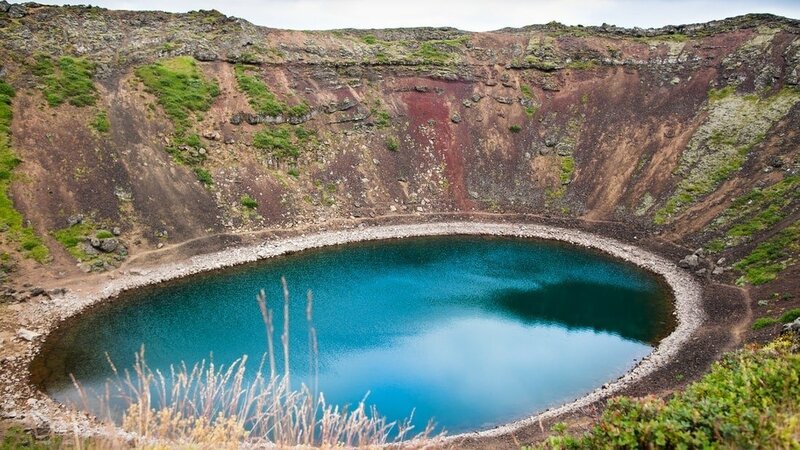 Our premium minibus tour also includes extra stops to the Friðheimar tomato and horse farm and the Kerið volcanic crater. 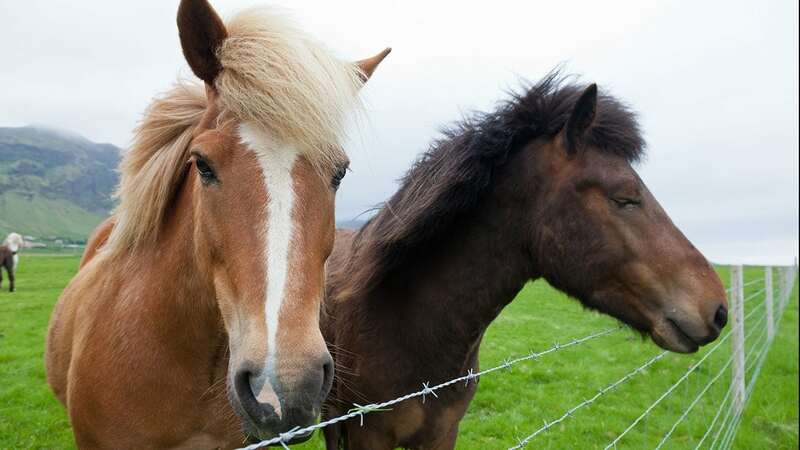 Stand among the windswept Icelandic scenery and see the majestic horses at Friðheimar farm. Find out what’s so special about Icelandic horses (more on this later). Keep reading to find out what other Icelandic secrets you’ll discover on the Golden Circle Small Group Tour – or reserve now to guarantee a spot! Our Golden Circle Small Group Tour is perfect if you want a more personal experience of one of Iceland’s most popular routes. You’ll enjoy the intimacy of small group travel on a comfortable minibus. Online minibus booking for the tour is simple and can be done right here on this page! Your day will start with a quick and easy pickup in Reykjavík. We can pick you up from selected hotels, or you can meet us at one of the conveniently located pickup points in the city. Our Premium Golden Circle tour includes the three main Golden Circle attractions, plus some extras! In a small group, you’ll enjoy more flexibility and a more relaxed atmosphere than a big group. It’s one of the best Iceland day tours for those who want a little something extra. You’ll experience the majesty of nature at Thingvellir National Park, Gullfoss Waterfall and the hot spring geyser at Geysir. Bonus stops at the beautiful Kerið crater lake and Friðheimar farm round out the day. A friendly and experienced guide will be on hand all day to help make your day smooth and memorable. For your comfort: Dress to be ready for any weather! In Iceland the weather can change suddenly, so it’s always wise to wear/bring warm, waterproof clothes. We recommend a waterproof jacket and pants, hat and gloves, warm socks and waterproof shoes. Peter was by far the best tour guide we had during our honeymoon in Iceland. During our Golden Circle tour, he held our attention for the entire day with his vast knowledge of all things Iceland. He touched on just about every aspect of the country in a compelling manner. We especially enjoyed his telling of Icelandic folktales. The locations were fantastic, but Peter made it an experience we’ll never forget. The small size of the group gave a much more personalised tour. The farm stop was well worth doing for an insight into a working business. The stop at the horses was fun too as long as you're well wrapped up in March, when we did the trip. The sights that Iceland has to offer are simply wonderful. I cannot thank the guide Thora enough for her excellent knowledge and guidance. We were so lucky to have beautiful weather for this day. I highly recommend the premium tour as Thora was able to add quite a personal touch. Can’t wait to try it again in the summer season. The Golden Circle route is one of Iceland’s most popular day tours from Reykjavík. Your day will begin with an efficient pickup from selected hotels or one of the designated pickup points. Our first stop is the striking Kerið (Kerid) crater lake. Standing at the top of the black and red-streaked slopes, your gaze is drawn down to the milky aquamarine waters of the lake. Scientists believe it was formed after a volcanic eruption over 6,000 years ago. Next, you’ll experience a taste of local life at Friðheimar tomato and horse farm. The family-run farm of Friðheimar (Fridheimar) in Iceland is geothermally powered. The greenhouses with their hothouse tomatoes are quite an impressive sight. But the highlight of this stop is the chance to see some of Iceland’s most majestic animal inhabitants. Friðheimar has an extensive horse breeding program and daily horse shows during the summer. You’ll be able to visit the stables and see these beautiful animals up close. Icelandic horses have unique gaits, which you’ll learn more about as you admire their powerful strides. 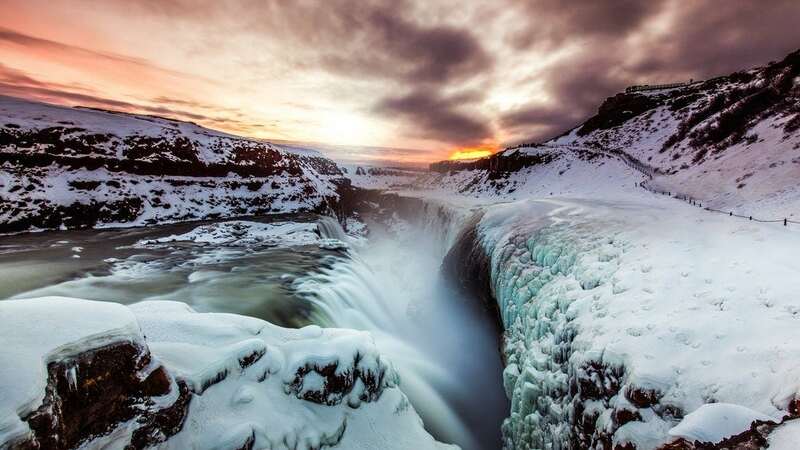 Next, you’ll visit the Gullfoss Waterfall, one of Iceland’s most famous waterfalls near Reykjavík. Standing atop the falls, you can truly feel the power of nature. Spray rises from the torrential cascade of water as it descends over 32 meters into the canyon below. You might even witness how Gullfoss got its name – which translates to “Golden Waterfall”. When the angle is right, the rushing water turns golden in the sunlight. It’s also super impressive in winter when the falls freeze to an icy aqua blue. 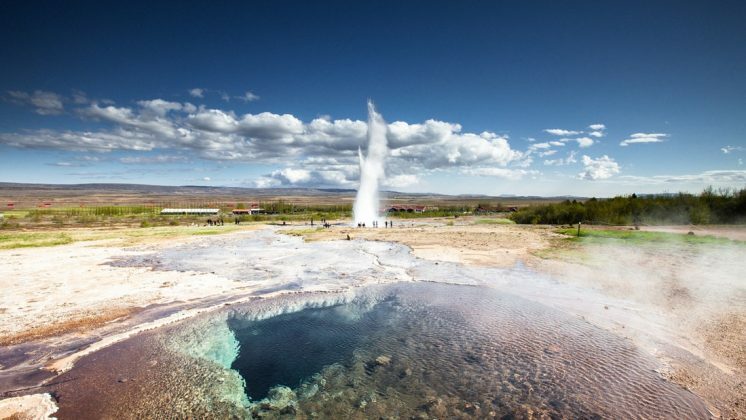 At Geysir you will see even more of Iceland’s impressive natural waterworks. This area is a hotbed of geothermal energy with its two geysers, Geysir and Strokkur. Geysir, or “The Great Geysir,” is the more famous of the two and gave us the word “geyser” in English. 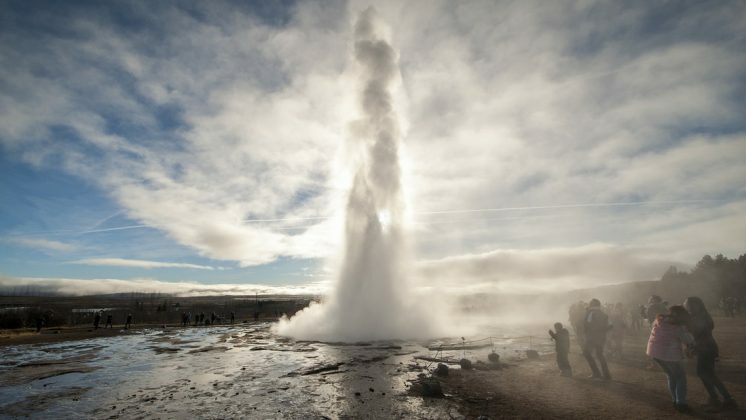 It no longer erupts under its own power, but its sister hot spring Strokkur is active enough for the both of them! You’ll also have time to buy some lunch while you marvel at the spectacular surroundings. Þingvellir (Thingvellir) National Park is home to a fascinating combination of geological and historical wonders. 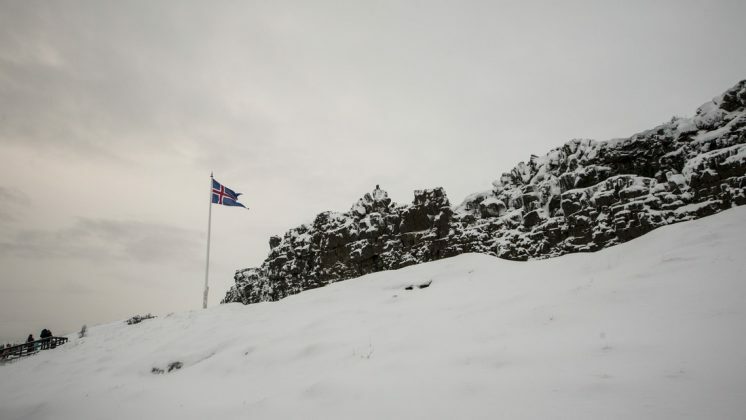 Þingvellir is the site of the world’s first parliament, formed in 930 AD. Ancient Viking leaders would gather here each year to discuss the important matters of the time. Although the Vikings didn’t know it, far beneath their feet (and yours, too! ), is the point where the American and Eurasian tectonic plates meet. All this makes Thingvellir a great place to contemplate the vast scale of natural and human history. 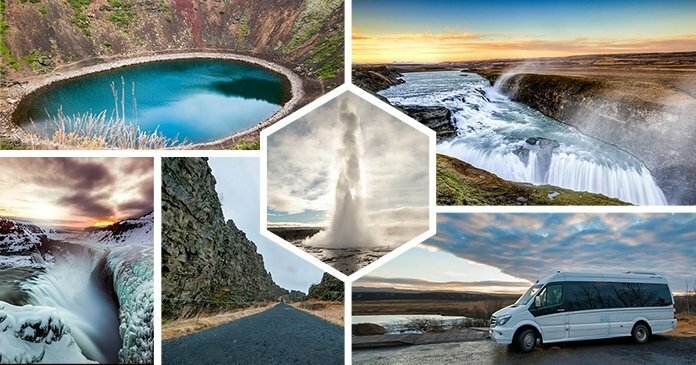 This marks the end of your Golden Circle Iceland Itinerary – we’ll head back to Reykjavík on the minibus and drop you back to your starting point. Be ready at the designated time for your pickup for the Golden Circle Minibus Tour. Pickup may take up to 30 minutes, so you might have a short wait for the minibus. 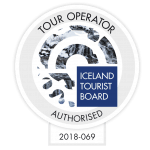 You can request a pickup from selected accommodations or meet us at one of the handy Bus Tour stops in central Reykjavík. Meals are not included but you will have the opportunity to buy food at stops along the tour. Want more options for Golden Circle Tours? Check out our Grand Golden Circle Tour. 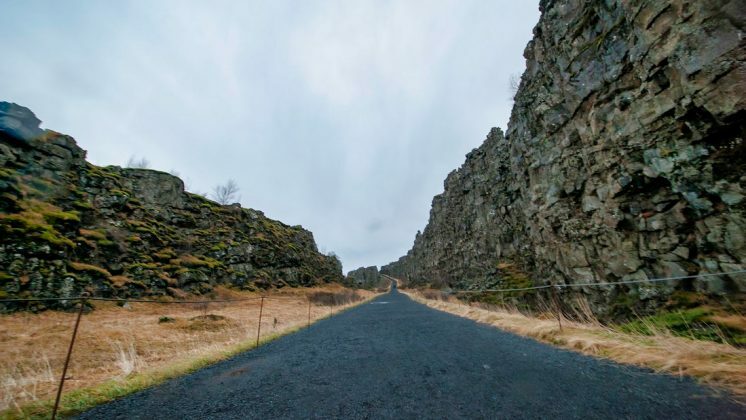 This classic route is also a day trip from Reykjavík, at an even more budget-friendly price. You’ll travel the main Golden Circle stops from Reykjavík to Þingvellir, Gullfoss Waterfall and Geysir. 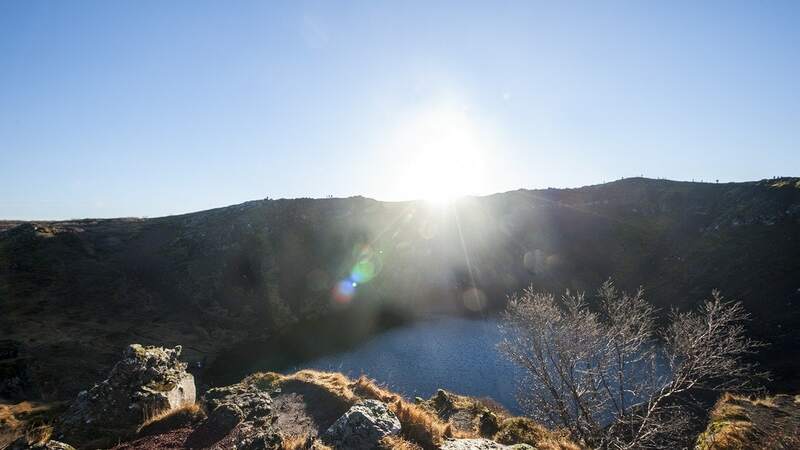 You’ll also make bonus stops at the Faxi Waterfall and the Kerið volcanic crater. Looking for an extra-relaxed start to your day trip? Our Golden Circle Afternoon Tour is for you. This route leaves later in the morning and covers similar stops in slightly less time. You’ll see all the major attractions, travelling from Reykjavík to Gullfoss, Geysir and Þingvellir. Fancy bathing in a stunning geothermal lagoon? Grab your swimsuit and check out our Golden Circle Secret Lagoon Tour! If you’re looking for a more intimate experience on your Golden Circle day tour, we’ve got you covered. The Golden Circle Small Group Tour offers a premium tour experience with added comfort and flexibility. Reserve now and start looking forward to the stunning Icelandic landscapes of the Golden Circle!